The Friendship Community Partnership, established in 2010, consists of five congregations representing four denominations. The goal of the partnership is to build relationships across racial and denominational lines, to serve the needs of people in our community, and to appreciate one another’s faith traditions. The partnership holds several events throughout the year that bring the congregations together for worship, fellowship, service, and fun. Events typically include a joint worship service, choir sing, and potluck meal; planting a garden; a picnic cookout; and a harvest festival. 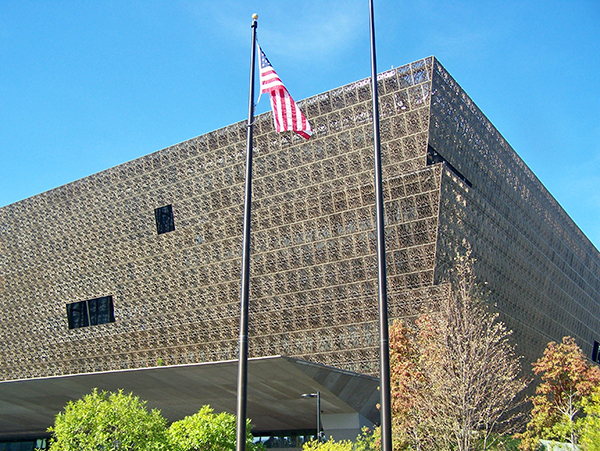 In 2017, the partnership sponsored a bus trip to visit the National Museum of African American History and Culture in Washington, D.C. Participants also attended a performance of the Langston Hughes play “Black Nativity” at the Barn Dinner Theatre. Through working together on service projects, as well as socializing together, we have been blessed with new friends in the Friendship Community Partnership. Now that we know each others’ hearts, and what local issues are concerning to our brothers and sisters, we feel a comfort level with calling to meet outside our meetings, or attend church or arts events together. Though our worship styles vary, we have found common ground among the congregations, as we seek to build community in the spirit of Martin Luther King, Jr.
For more information on the Friendship Community Partnership, contact Cathie Holcombe. Meal before joint worship service, April 18, 2018. Joint worship service, April 18, 2018.